EUROPEAN STANDARD NORME EUROPÉENNE EUROPÄISCHE NORM EN 13739-2:2011/AC November 2012 Novembre 2012 November 2012 ICS 65.060.25 English version Version Française Deutsche Fassung Agricultural machinery - Solid fertilizer broadcasters and full width distributors - Environmental protection - Part 2: Test methods Matériel agricole - Distributeurs d engrais solides en nappe et centrifuges - Protection de l environnement - Partie 2 : Méthodes d essai Landmaschinen - Ausleger- und Wurf- Mineraldüngerstreuer - Umweltschutz - Teil 2: Prüfverfahren This corrigendum becomes effective on 21 November 2012 for incorporation in the three official language versions of the EN. Ce corrigendum prendra effet le 21 novembre 2012 pour incorporation dans les trois versions linguistiques officielles de la EN. Die Berichtigung tritt am 21. November 2012 zur Einarbeitung in die drei offiziellen Sprachfassungen der EN in Kraft. EUROPEAN COMMITTEE FOR STANDARDIZATION COMITÉ EUROPÉEN DE NORMALISATION EUROPÄISCHES KOMITEE FÜR NORMUNG Management Centre: Avenue Marnix 17, B-1000 Brussels © 2012 CEN All rights of exploitation in any form and by any means reserved worldwide for CEN national Members. Tous droits d exploitation sous quelque forme et de quelque manière que ce soit réservés dans le monde entier aux membres nationaux du CEN. Alle Rechte der Verwertung, gleich in welcher Form und in welchem Verfahren, sind weltweit den nationalen Mitgliedern von CEN vorbehalten. Ref. No. 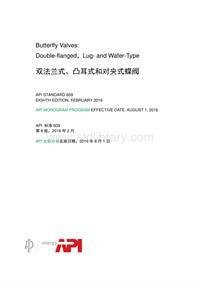 :EN 13739-2:2011/AC:2012 D/E/FEN 13739-2:2011/AC:2012 (E) 2 Modification due to EN 13739-2:2011/AC:2012 (May 2012): 1 Modification in 7.1.1.2 Replace the formula in the first paragraph with the following one: “() ()() () () 1 1 1 , 1 , , − − + − − + = i i i i i R P R P R D θ θ θ θ θ “. Modification due to EN 13739-2:2011/AC:2012 (November 2012): 2 Modification to the Introduction Replace: “CEMAGREF Parc de Tourvoie – BP44 F-92160 ANTONY“ with: “IRSTEA 1, rue Pierre-Gilles de Gennes CS 10030 F-92761 Antony cedex“.